The Hodgkinson family provided the army with two of its sons to fight in the war. The eldest son John had a distinguished career. He joined The Royal Welsh Fusiliers but it seems he was not at all happy with the way in which a senior officer treated his horse so he organised a transfer to a different unit within the regiment. He became a soldier in the Machine Gun Corps. John began his military career as a private but by the end of the war he was a second lieutenant. We know that he served in France and whilst there he visited his brother Willie. Robert Hodgkinson, John’s son has kindly provided us with a collection of miscellaneous memorabilia from John’s time in the war. This letter to Ada describes the conditions in France. This officer’s pocket book was one of John’s possessions. 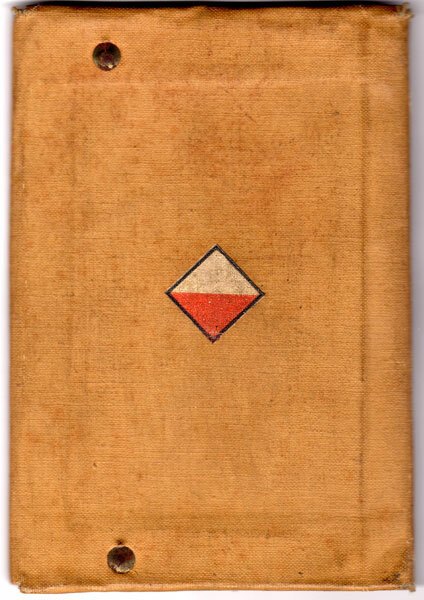 It was produced by 42nd East Lancs Regiment and is basically a handbook for officers in WW1. We have copied just two sections which make fascinating reading. John’s much loved sister Gwennie was disabled and lived her life in a wheelchair. Members of the family, especially John sent her postcards from wherever they were, for her collection. Here are some of those postcards. This character – Gilbert the Filbert- was played by Basil Hallam in a popular musical show, ‘The passing Show’. Hallam played the part of a pre war ‘nut’ – a man about town- and established himself overnight as a top rank comedian. Hallam joined the Royal Flying Corps in 1915 and was appointed a Balloon Officer. In France he was flying in an observation balloon over the Avere Valley when the cable broke. Hallam was seen by thousands of troops below to fall to his death. These puzzle cards had to be held up to the light (as on the right) to reveal their secrets. 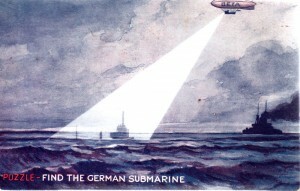 These two reconnaissance ariel photographs were in John’s possession after the war. The one on the left is labelled as being a village in France close to the Belgian border, called Mesnil St Laurent. The one on the right shows clearly the position of trenches. The front line trench is to be seen on the left of the photograph running north -south with a communication trench leading from it running east-west. Many thanks to John’s son, Robert Hodgkinson for these fascinating mementos.